With such an extensive range of air conditioners on the market, it can be difficult to solidify which make and model is going to best suit your needs. A multitude of factors such as the size and structure of your rooms, the condition of the building itself, and ultimately how much you’re willing to spend are all determining factors in the decision-making process. Some of the most common systems include window and portable units as well as central, split, and ductless systems. Each model and method offer contrasting attributes subjectively suited to both the individual’s expectations and the aesthetics of the home you’re looking to fit out. Everlasting Air specialise in air conditioning installations and have found one of the most efficient, cost-effective systems to date is the spit system. What are the financial advantages of a split system? Unlike expensive ducted air conditioning systems, the installation of a Split System unit will work out better for your budget. This is largely due to their straightforward design and the simplicity of the installation process; Split System air conditioners will not only provide you with an affordable solution, but requires no retrofitting or special reconfiguration. The systems are uncomplicated and easy to use via remote control. They can cool or heat spaces quickly and deliver warm or cool air only to the spaces you require. This means you won’t be out of pocket heating unused space. As split system air conditioners are powered by electricity, the installation of solar panels can further their worth, making them a cost-effective solution for homes using solar power. Due to their simple design, the filters used within the system are easily accessible and can be simply removed and clean by the owner. There is no need for unnecessary call out fees and maintenance. As the name suggests, a split system air conditioner is split into two or more components: the fan and the evaporator, which are wall-mounted inside the building, and a compressor unit, which is hung outside the building on installed on the ground. 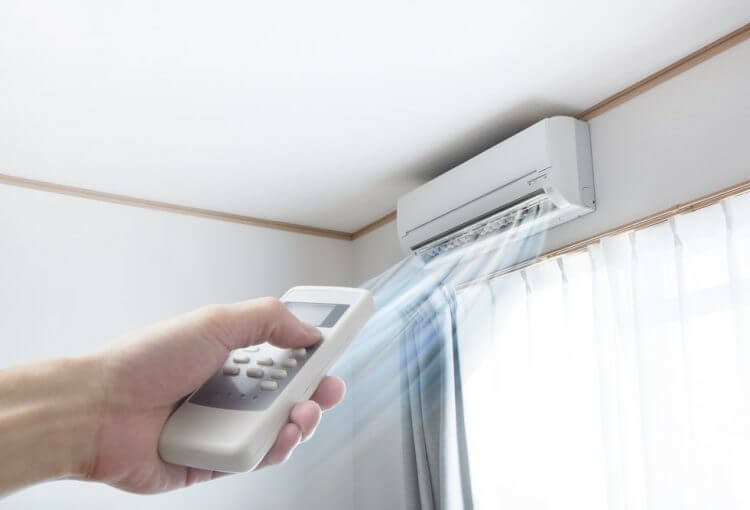 It works by extracting hot air and humidity inside the property, moves it through the unit’s compressor and into the air outside, removing the heat and humidity. The same goes for heating, but the process is inversed. To heat the property, it extracts cold air and replaces it with warm air. Are you in need of a new, cost-effective air conditioning? Everlasting Air provides split system installations that will not only better your budget, but give you a no-fuss solution to temperature control. Call Everlasting Air today for a free quote and start saving now.